Mark is a registered company auditor with 30 years’ experience working extensively in the field of audit and assurance services. With strong investigative and problem-solving skills, Mark is involved in the review and audit of sensitive and complex clients including ASX-listed groups, foreign-controlled entities, large private corporations, charitable organisations, and public sector entities. 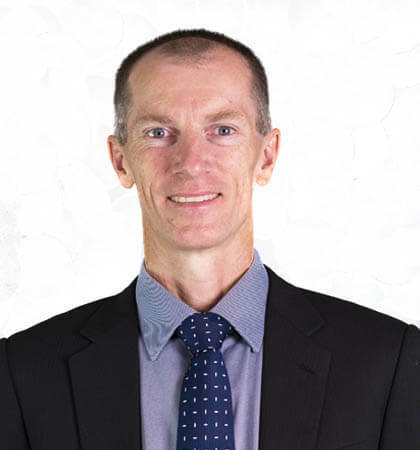 Mark has developed his experience from partnering with professionals and clients across a range of industries, including Cromwell Property Group, Buderim Ginger, Pillow Talk, Tamawood, Australian Catholic Superannuation, RNA Qld, Austin Engineering, Credit Union Australia, and Lasseters Casinos. His experience also includes international secondments in both the United Kingdom and America, with exposure to multi-national organisations including Barclays, ING and Credit Lyonnais. Mark is focussed on being a valuable ally, partnering with his clients for the benefit of their accounting, audit and financial reporting requirements. Value-add feedback, streamlining of accounting processes and serving as a knowledge resource are some of the traits that have allowed Mark to establish and maintain effective long-term relationships with his clients.